Over the last few months, quite a few of the surgical videos uploaded by Fauquier ENT has been slapped with "graphic content restrictions" which is prohibited by YouTube policies. Although these surgical videos are still "allowed" due to its educational nature, any videos showing enough blood and guts are now placed behind an age restriction. It's not just ENT surgical videos... its ANY videos by any surgeon showing actual surgical footage. You can read more about this change and why now it is happening here. Based on our experience, there are 4 different restriction levels that our video library has experienced. The first is basically no restriction and fully allowed by YouTube. This status is principally identified by a green dollar sign symbol. Fortunately, the majority of videos in our library fall into this category. Some may ask why the dollar sign symbol? Mainly, it refers to whether advertising revenue is allowed or not. The second is a "not suitable" status denoted by a yellow dollar sign symbol. In this situation, the video will typically be ranked lower on search results (because YouTube wants to show videos with lots of ads in order to make money). Quite a handful of videos fall into this category. 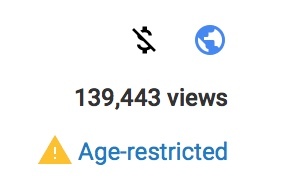 The third is "Age-Restricted" which puts up a warning screen for any users with a stated age lower than 18 years old or if "Restricted Mode" is turned ON. Also, no advertising revenue is allowed. Correspondingly, these videos perform very poorly in terms of views and search results. Most videos showing actual surgical footage fall into this category. 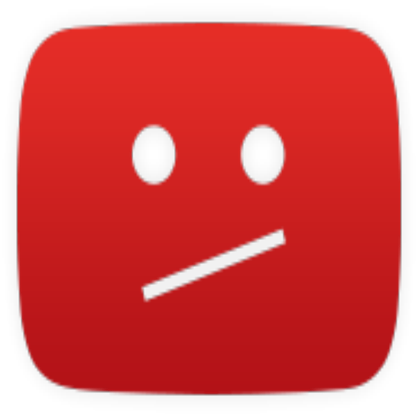 And finally, the ultimate restriction is complete video removal from YouTube. Not sure why this video was removed in particular given the plethora of other similar videos, but it was. This was our only one to be removed completely. Given this new reality of burying in search results any videos containing graphic content (ie, surgical footage), our practice has responded by re-creating a few surgical videos using animation alone. Apparently, animated surgical procedures are acceptable without any restrictions and not considered graphic content. Here are three animated surgical procedures with all actual surgical footage removed that passed muster with respect to YouTube's graphic content policy. Animations all made by O2Labz. Good for you in finding a way to circumvent these ridiculous restrictions! Your videos are not only helpful but interesting, as well. Keep up the good work!